See what this dispute was all about in the award winning exhibit describing the conflict that almost caused a war. 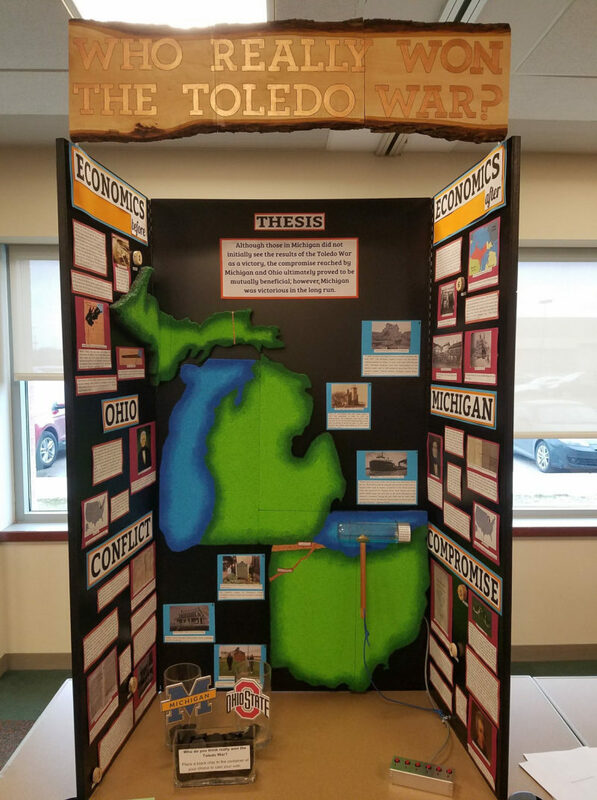 Student Jacquelyn Foreman lead the WBSD team to national finals for the 2018 MI History Day by the Historical Society of Michigan. Temporary and permanent exhibits interpret local area history and culture. Hands-on activities. No charge.